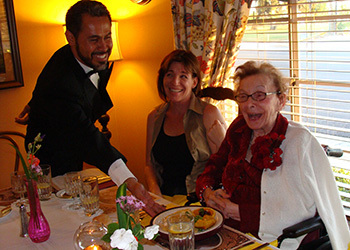 Our skilled nursing community provides licensed nursing care for your loved one around the clock. From their first cup of coffee in the morning to getting them comfortably to bed at night, our trained and compassionate nurses are available night and day to assist our residents in every way possible. Bel Vista Healthcare Center is an intimate 41-bed skilled nursing facility located in a beautiful quiet neighborhood in East Long Beach, CA. Our facility is privately owned and operated for over 61 years. 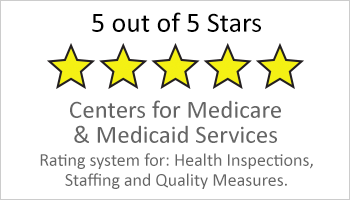 The Center of Medicare and Medicaid (CMS) has award Bel Vista Healthcare Center an overall rating of 4-stars based on surveys, staffing, and quality measures. Bel Vista is in the top 10% of California skilled nursing facilities for the past 4 years. Whether you are in need of a short-term or long-term care stay, our community is designed to promote rehabilitation in a high-quality and compassionate environment. 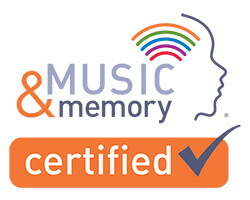 A licensed physician supervises each resident’s care and therapy including speech, occupational, and physical therapy. Here at Bel Vista Healthcare Center, we offer a variety of conveniences and amenities designed to enhance comfort and improve recovery, such as a completed renovation of the facility common areas and resident rooms. Our intimate size allows for us to pay attention to the smallest of details. We invite you to visit us at Bel Vista Healthcare Center today!